Product Description: 6pcs assorted pottery clay sculpting tools set Includes 6pcs tools with wood center handle and double shaped heads Provides a variety of different carving shapes to give you more flexibility for your designs Great for clay, paint, foam crafts, wood models, art projects, sculpture and other craft projects. 5 x Rubber Modeling Tools. Material: Rubber. Size:whole length:15.5-15.8cm. Also note that monitor settings may vary from computer to computer and may distort actual colors. 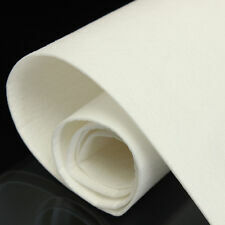 High temperature Ceramic Fiber Insulation Blanket for Wood Stoves or Inserts - 12" x 24" 610×300×1mm. Used to replace existing blankets used in wood burning stoves and inserts. Excellent electrical insulation and sound insulation;. The clay pottery tool set have 14Pcs different art tools in all. Quantity: 14Pcs. 14Pcs x Sculpting Set. Used for carving, shaping, clay sculpture, modeling etc. Introduce about the item. Introduce about the item . Description: Pack of 4 Ball Stylus Polymer Clay Pottery Ceramics Sculpting Modeling Tools Specifications: 100% Brand New Material: Wood and stainless steel Double ended ball total length:About 14cm Single ended ball total length:About 11cm Color:As in the picture. It is a compass cutter which can cut out 1cm-34cm circle. 1 Piece Ceramic Compass Circle Cutter. Perfect for hobbyist and beginners use. Great for clay hole punch, pottery or wax carving, modeling, cutting, sculpting and more. These half round cutter tool set gives you four different size choices. Stainless steel tools with wood handle. Features: for Clay Sculpting Modeling, Useful Tool. Type: Sculpting Tool. 1 x Sculpting Tool. Creates many fine lines for joining clay with one stroke. The scoring tool also allows you to make multiple fine lines for joining clay with one stroke. 5 X 2 Way 10 Different DIY Nail Art Dotting Tool ;. Straight and angular dotting balls for all sort of working conditions ;. 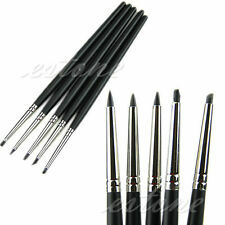 5 PCS X 2 Way Dotting Tool <. Pottery Select pottery tool,wooden rolling pin,sturdy and durable. - This well crafted small rolling pin is ideal for working smaller pieces of clay. - It has a super strong wired stainless steel handle for ease of use,to ensure your clay is rolled evenly. Sculpting Tools: For clay sculpting, brushing, cleaning and more. TOTAL 31 PCS TOOL SET includes sculpting tools, clay color shapers, hole cutters, ball styluses and wooden sculpture knives. Ideal for sculpting clay, cutting holes, making dots, removing fingerprints, scraping, chipping, brushing, smoothing and more. Used to replace existing blankets used in wood burning stoves and inserts. Excellent flexibility，chemical stability，electrical insulation and sound insulation. 1 x Ceramic Fiber Paper. Material: Aluminium silicate. Whether from the appearance or the essence, is the essence of a new generation of clay sculpture knife. 1 x Plastic turntable. Multi-purpose knife for a wide range of clay. Material: Plastic. If item is defective after 3 months, you can still send it back to us. Cut and contour with the large blade end and smooth surfaces evenly with the rounded end tool. The rounded paddle end can be used to gently flatten areas and the hooked end incises and removes clay with accuracy. 11pcs assorted pottery clay sculpting tools set. 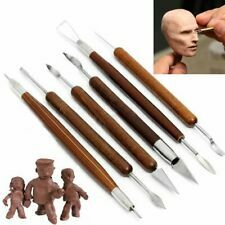 1 x A set of clay sculpture tools (11pcs). Used for brushing, scraping, cleaning, smoothing, shaping, sculpting and so on. Great for clay, paint, foam crafts, wood models, art projects, sculpture and other craft projects. 5 x Rubber Modeling Tools. Material: Rubber. Size:whole length:15.5-15.8cm. Comfortable in touching and you can clean them after work. Due to the difference between different monitors, the picture may not reflect the actual color of the item. Type: Fimo Acrylic Roller. 1 x Fimo Acrylic Roller. Use the roller along with spacers to ensure your clay is rolled evenly. Simple but essential tool, roll out your clay in style. Clear acrylic roller has a non-stick surface to roll smooth. Features: A unique set that contains a wide variety of tools to be used on a variety of clays including air drying clay, polymer clay. 22pcs different clay tools, provide variety of carving shapes to give you more flexibility for your designs. This set is packaging in it's own canvas case for easy carrying. Multi insert pocket design for easy tool finishing, improve work efficiency and protect tools. Perfect for carving, sculpting, shaping, modeling, cutting, scraping, brushing, and so on in the clay crafts producing process. Etching, carving, Sculpture, stripping and other hobby applications. Insert the cutter head in the middle of gap between the cutter heads,and properly tighten the cutter head nut to use it. Type:Carving Tools. Feather Pin wire length 1.5cm, Aluminum alloy handle length 11.5cm. Color: Silver. Colore: legno. Quantità: 10 pz. Caratteristiche: Double-end, facile da usare, leggero. 5PCS Set Silicone Brushes Paint Pen Trace M odification Clay Sculpting Tools Kit. Diese Gebühren sind die Verantwortlichkeit der Käufer. Am 20.12.18 hat der Verkäufer die folgenden Angaben hinzugefügt. The stainless steel scrapers have many shapes, serrated edge etc. Designed for smoothing shaping and finishing clay, the flexible blades are very useful for forming a flat surface on clay;. Made of thin flexible stainless steel, steel scrapers are great for smoothing, shaping and finishing;. 6pcs assorted pottery clay sculpting tools set. Used for brushing, scraping, cleaning, smoothing, shaping, sculpting and so on. Includes 6pcs tools with wood center handle and double shaped heads. Great for clay, paint, foam crafts, wood models, art projects, sculpture and other craft projects.